Thank you for taking the time to visit our web site and learn more about our Award Winning company and products. Having worked in the technology field for over 20 years with leading companies in a client relationship role, I saw first hand the right way and the wrong way to do business. I promised myself when I started my own company I would never put myself or our company before our clients, even if it meant possibly losing a client. To date, the decision to always do the right thing for our clients and maintain a high moral and ethical standard has proven worthy. Since founding PSSG in 2009, we’ve averaged a 96% client renewal / retention rate, while making many new friends along the way, or as we call them, our growing family of clients. By the very nature of our industry, the public safety profession is not only dangerous, but also demanding of one’s judgment of people. Is the person I’m dealing with being truthful, or do they have alterative motives? Can I trust this person, and in some cases, would I be willing to risk my own respected status within the organization based on this person’s word to me? As a long time member of the public safety community as well, I understand our industry is unlike any other in the world. You have my absolute word that when I or my company makes a commitment to you that you can count on us, just like you would a trusted partner or industry colleague. Thank you again for taking the time to learn about our company and products. I hope to have the pleasure of speaking with you soon, and thank you for what you do every day to help keep our nation and communities safe! PSSG Founder, Art Femister and Chief Programmer, Jill F. at the October 2015 Chicago, IL, IACP conference. 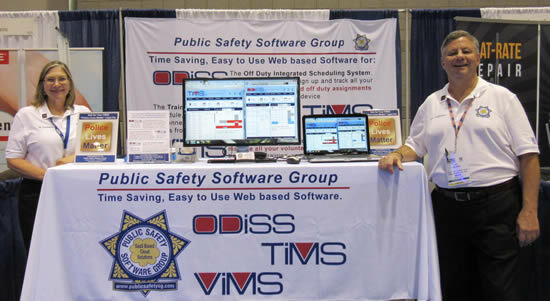 Recognized by CIOreview magazine as one of the “20 Most Promising Public Sector Solution Providers for 2017“, The Public Safety Software Group is the parent company for our group of software products, which include ODISS for off-duty special assignment scheduling, TIMS for announcing, scheduling and tracking training classes for public safety agencies, and VIMS for volunteer management. The Public Safety Software Group is an outgrowth of the Public Safety Volunteer Institute (PSVI), founded in 2004 by Arthur Femister. The primary mission of PSVI was hosting and conducting training classes around the nation for police agencies looking to start or enhance volunteer and reserve officer programs. Through teaching volunteer management workshops to hundreds of police agencies, Mr. Femister recognized the need for a low cost, yet highly integrated and easy-to-use software program to assist public safety volunteer coordinators in tracking volunteer hours, scheduling events and shifts, training, and providing recognition for years of service. Three years went into creating the initial Volunteer Integrated Management System (VIMS), with the end result being what we believe to be the most highly integrated software application of its kind in the field of volunteerism for public safety agencies and others. 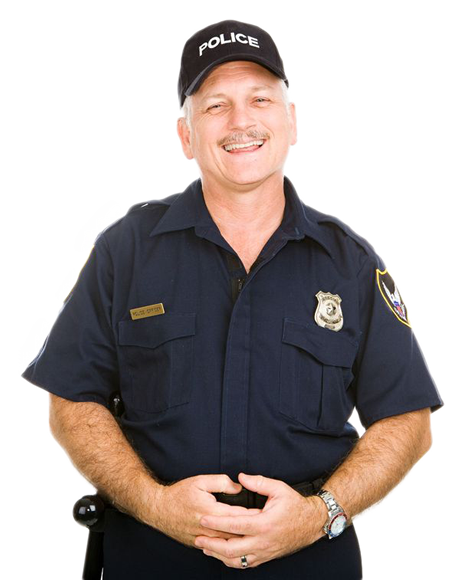 After demonstrating VIMS at a volunteer management workshop, a police Commander from an area agency approached Mr. Femister with the idea of adapting VIMS to help with the scheduling of off-duty assignments for special events. He explained that their current scheduling method involved posting a sheet of paper to a bulletin board for officers to sign up to work off-duty shifts. There were multiple problems with this method: it would sometimes take a week to ten days to fill the list; officers would take their names off the list without finding a replacement; the paper could get lost, along with the list of officers, and there were issues involving the enforcement of internal policies requiring that all officers have equal opportunity to sign up for events to earn extra pay, and those allowing officers with seniority first priority in sign-ups. The Commander noted that the VIMS calendar and scheduling system was exactly what would solve their off-duty scheduling problems, and that it would be perfect with some added features and functions, such as limiting the number of days in advance of an event an officer could remove himself from the list. From there, our programmers went to work, and utilizing the same proven software code found in VIMS, developed the Off-Duty Integrated Scheduling System (ODISS). Five years later, that same agency is still using ODISS to schedule more than 800 events a year! The creation of our Training Integrated Management System (TIMS) has a story similar to that of ODISS. An existing VIMS client—a large Sheriff’s agency in Arizona—was facing challenges with their training unit. The agency had close to 200 sworn deputies, all of whom had various training requirements throughout the year that needed to be announced and scheduled. The training unit had to go through a tedious process that involved sending out an email every time a new training class was available, manually tracking responses, sending out another email to announce when a class was filled (unless, of course, one person couldn’t make it, and then another email had to be sent out announcing the open slot), and tracking which deputies had completed the training and which ones still needed to attend the class. Doing all of this was just about a full-time job for one person. Fortunately, the Sergeant in charge of the training unit had seen VIMS in use at their agency and called us to talk about making modifications to the software so it could be used for announcing and scheduling all of his agency’s training classes. Our programmers modified the VIMS code, along with the user interface, to create what is now known as TIMS. That was in 2012, and today that same agency is still using TIMS, and has scheduled more than 1,000 training classes for their deputies without a hitch! We are proud of our 96% annual renewal rate for all of our products! The numbers tell it all—our clients love our products and continue to use them year after year. We’d welcome the opportunity to show you why, and add you and your organization to our growing family of clients all across the nation! Please don’t hesitate to contact us with any questions you may have or to request a live online demonstration of any of our products.